Our Forest Hall team is second to none, offering outstanding customer service and consistent results. Led by Eddie O'Mahony, this team is the number one choice for anyone looking to move in the Forest Hall area. The main areas we cover include; Forest Hall, Longbenton, Benton, Killingworth, Westmoor, Cramlington, Palmersville, and Holystone. If you’re looking to move, or if you simply need some advice, give our friendly team a call on 0191 605 3134. Our branch is open from 9.00am to 5.30pm Monday to Friday, and from 9.00am to 4.00pm on Saturdays. "My philosophy for selling properties is to ensure the process from start to finish is as smooth as possible for both vendors and buyers. We, at Jan Forster Estates aim to achieve this by liaising every step of the way with all parties through effective communication and delivering professional customer service. 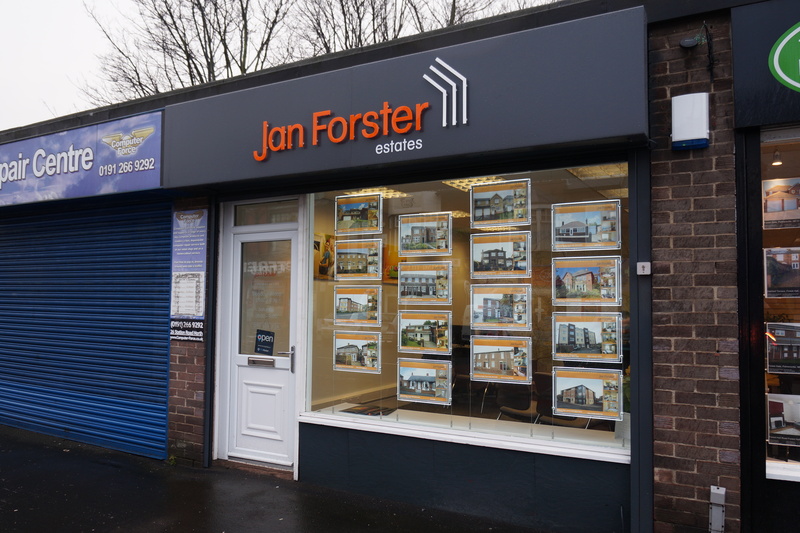 As Sales Manager at the Forest Hall branch, my aim is to continue our success as a market leader and grow the business further by offering innovative and essential services such as Virtual Reality Tours, Financial Services, Conveyancing, Surveyors and Removals. If you are looking to buy, sell, let, or rent please feel free to pop into the branch and our staff will be delighted to help." "Having worked as a manager in high-end sales for 16 years, I began working at Jan Forster Estates as a Sales Negotiator. I was very successful at selling properties and ensuring smooth progress to exchange and completion. As a result, I quickly progressed to carrying out valuations across the region, now specialising in the High Heaton, Forest Hall and surrounding areas. I am extremely passionate and determined to help clients achieve the best possible prices for their properties but sell them within a realistic timescale. I aim to give personalised advice to every client and recognise that it is a true privilege to be invited into people’s homes. I thoroughly enjoy working for Jan Forster Estates which is still a family run business, giving me the opportunity to tailor marketing packages to clients’ needs and being able to adapt to the changing marketplace. I enjoy the challenge of estate agency and maintaining our offices’ top spot in the areas we cover for selling properties but I also particularly like meeting people and helping them with their moving needs – always with a smile on my face!"